The National Pro Bono Professional Indemnity Insurance Scheme was launched by the then Attorney-General of NSW, The Hon John Hatzistergos, on 3 June 2009. The Centre established the National Pro Bono Professional Indemnity Insurance Scheme to encourage in-house corporate and government lawyers to undertake pro bono legal work. 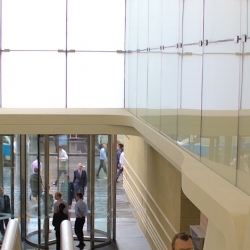 The Scheme removes one of the key barriers for in-house, private and career break lawyers who wish to engage in pro bono legal work – the need for professional indemnity (PI) insurance to cover them for any civil claims arising from their pro bono legal work. The Scheme provides free professional indemnity insurance to lawyers and paralegals working on pro bono projects approved by the Centre. The Centre thanks the Law Society of New South Wales, Lawcover and DLA Piper for facilitating the establishment of the Scheme. Pro Bono Legal Work: A Guide for In-house Corporate Lawyers is an invaluable guide and essential reference point for corporations looking to establish, manage or refine in-house pro bono programs and individual corporate lawyers seeking involvement in pro bono work. Corporations are encouraged to view the guide, which includes helpful precedents for establishing in-house pro bono programs. Can I access the Scheme? in Western Australia, to holders of volunteer practising certificates only. Therefore, lawyers who hold a practising certificate in any other State or Territory are not currently able to access the Scheme. The Centre continues to advocate for the expansion of the Scheme to other jurisdictions. The Centre thanks the State and Territory governments, and Law Societies in the jurisdictions in which the Scheme is approved, for the steps they have taken to facilitate access to justice. To facilitate the National Pro Bono PI Insurance Scheme the Centre holds a Policy with Lawcover Pty Ltd (Lawcover). The Policy provides coverage for pro bono legal work undertaken by lawyers and paralegals as part of a pro bono project approved by the Centre. A “project” can take many forms. For example, it might be legal work for a charity or community organisation; work referred through a pro bono referral scheme or organisation; work as part of a multi-partner project involving a law firm pro bono program; or a single legal case. A lawyer or paralegal is involved in the giving of free legal advice and/or representation to charitable and community organisations. The Policy is a “safety net” policy so cover will only extend to circumstances where no other PI insurance covers an approved project. For example, the Scheme will not apply if a lawyer is undertaking pro bono legal work through a community legal centre and the community legal centre’s PI insurance provides coverage. 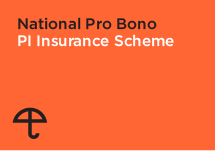 In order to obtain coverage under the National Pro Bono PI Insurance Scheme an Applicant must first complete the Application Form and submit it to the Centre for approval. Once approved, the Policy will, subject to the terms and conditions, provide insurance cover for all lawyers and paralegals who work on the approved project. In assessing a proposed pro bono project the Centre will apply the definition of “pro bono legal work” contained in the Policy. Projects will also be assessed using the definition of “pro bono legal services” used in the Centre’s Aspirational Target, which is more specific about certain activities that have been considered “grey areas” in some definitional debates. For further information on the nature of pro bono legal work, please refer to the Guidelines for Considering a Proposed Pro Bono Project. PI insurance under the Scheme is provided free of charge. The Centre has paid the policy premium and will cover the excess payable on any claim. Responsibility for the coordination of each project rests with a Supervising Lawyer, who may appoint another person to be the contact person for communication with the Centre. However, the proposed Supervising Lawyer must sign the declaration on the Application Form. The Supervising Lawyer will be responsible for supervising any legal advice being provided by the lawyers and paralegals under the auspices of the Project, and it is their responsibility to ensure that they hold an appropriate practising certificate that authorises them to undertake pro bono work in the relevant jurisdiction. A corporation may wish to include a disclaimer to make it clear that the advice is provided by an individual lawyer covered by the Policy, and not their corporate employer. The Centre also provides “National Pro Bono Project” letterhead which may be used in correspondence relating to the pro bono project. For more detail see the Application Form. The National Pro Bono PI Insurance Scheme Register of approved pro bono projects can be viewed here. The Centre is willing to consider applications for coverage from law firms collaborating on a pro bono project. Please contact the Centre at info@probonocentre.org.au to enquire about applying.